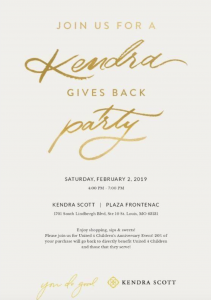 Looking to shop for Kendra Scott jewelry, sip on great drinks and have some sweets? 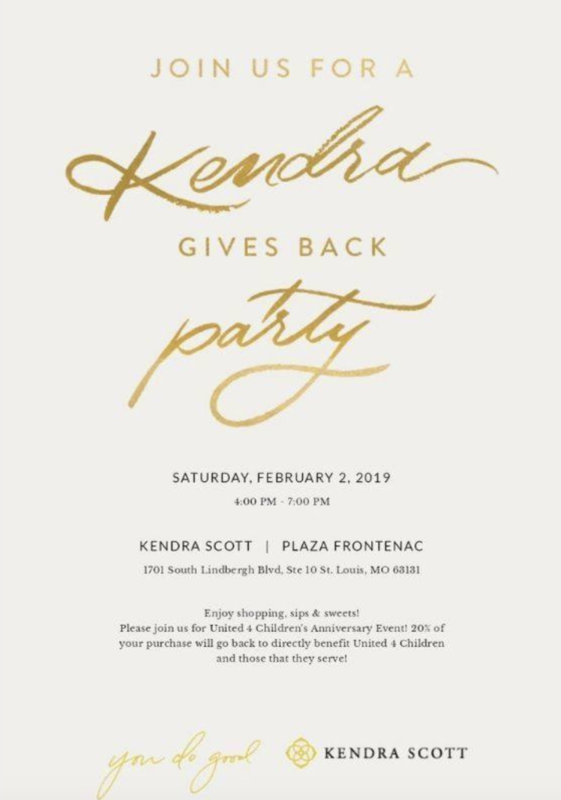 Join us and our partner, Kendra Scott, on February 2nd from 4:00-7:00 p.m. for the Kendra Gives Back Party! 20% of the proceeds go to United 4 Children!